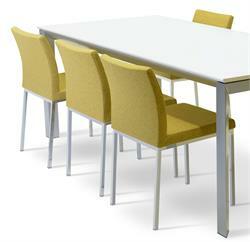 Love the modern metal legs and fitted upholstery choices. 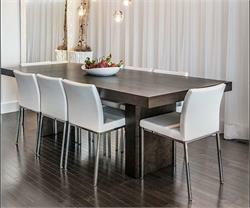 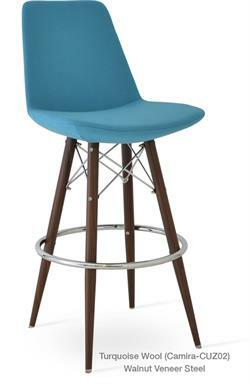 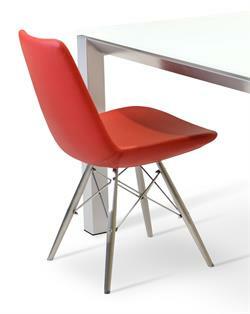 WE ordered 6 of these for our dining table and they are sturdy with easy to clean seats and backs. 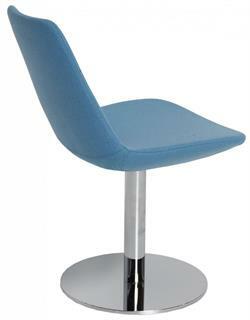 I don't have to worry when the kids spill food or drinks on the seat. 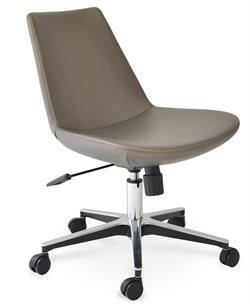 Got fast shipping from their east coast warehouse. Aria Parsons Chair aka Aria Chrome Chair is a modern design dining chair with a comfortable upholstered seat and backrest on chrome steel legs which are plastic tipped. 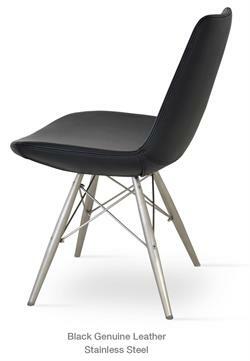 The Aria Chrome Chair seat has a steel structure with S shape springs for extra flexibility and strength. 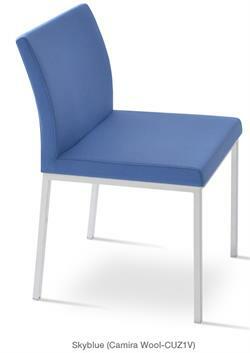 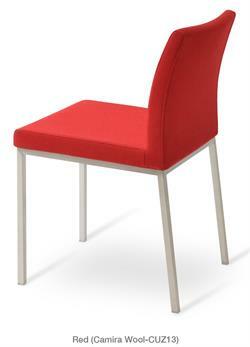 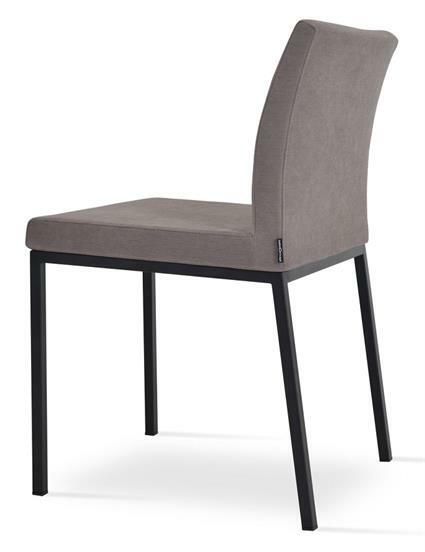 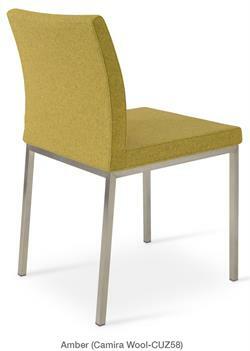 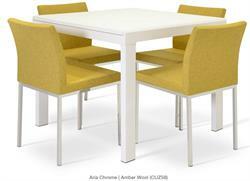 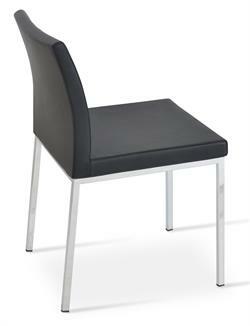 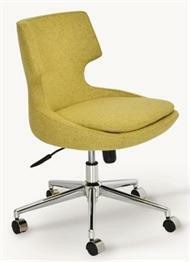 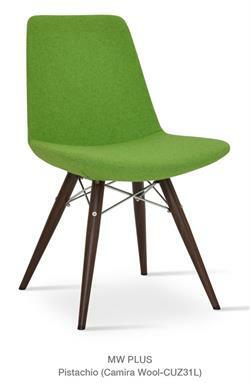 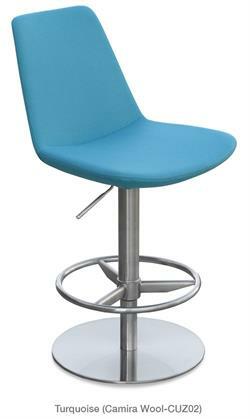 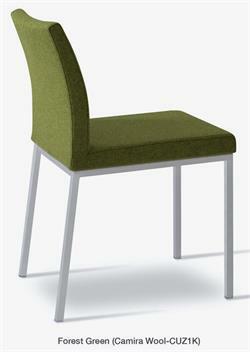 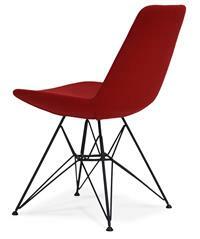 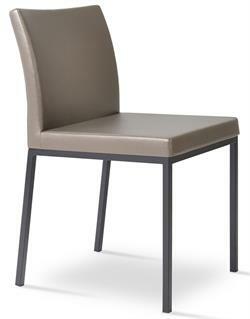 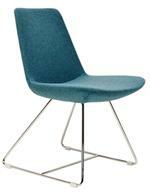 Aria Chrome Chair seat is upholstered with a removable leather, PPM or wool fabric slip cover. 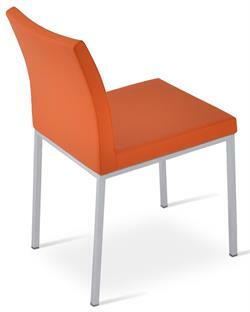 The Aria Chrome Chair is suitable for both residential and commercial use. The Aria Chrome Chair by Soho Concept chairs is suitable for both residential and commercial use as a dining chair, restaurant chair, side chair, office chair, lobby chair, hotel chair, conference room chair. Aria Parsons Chair: H 31" W 17" D 21" Seat H 18.5"